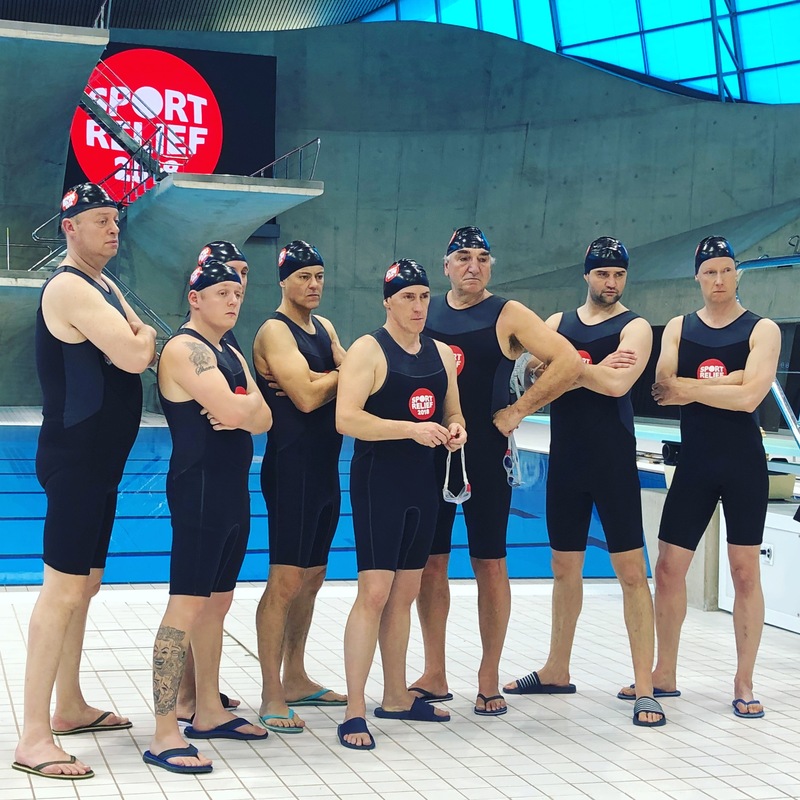 The cast from Oliver Parker’s new film ‘Swimming With Men’, debuted their synchronised swimming skills on BBC1’s Sport Relief on Friday. After diving in they showed off formation changes, complicated pair link movements and even a kaleidoscope. 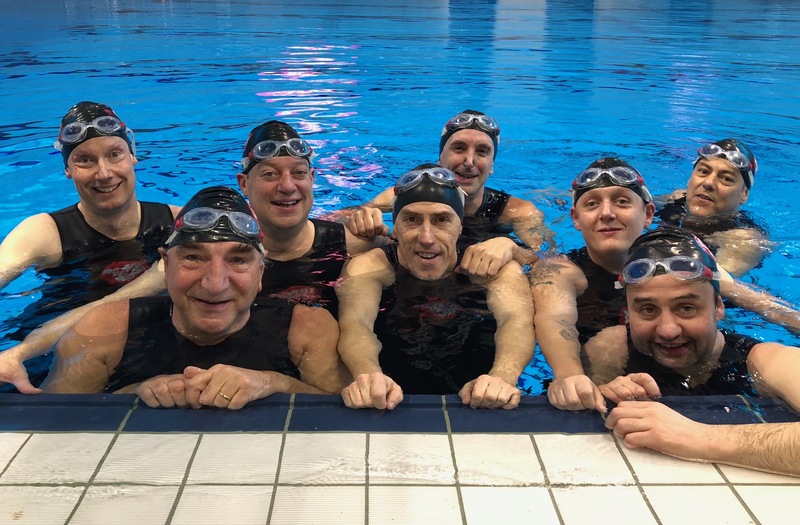 Synchronised swimmers Ronan Daly, Chris Jepson and Stephen Adshead, who also feature in Swimming With Men, joined in the fun with the team. 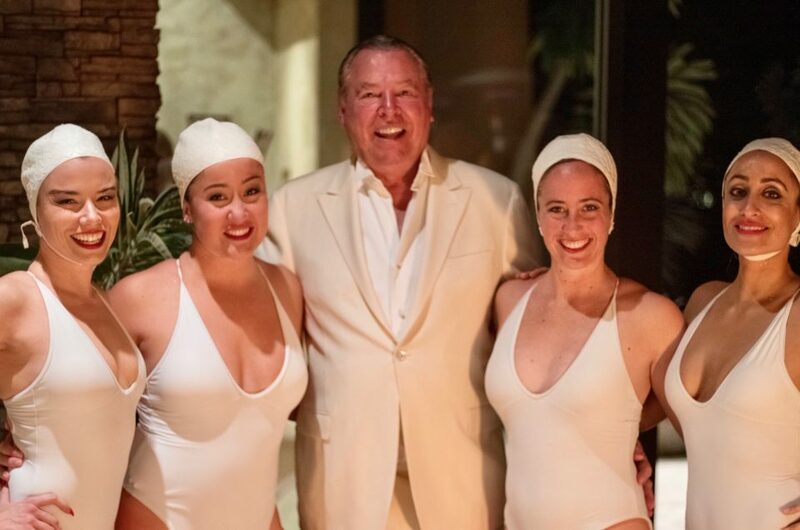 As host Claudia Winkleman introduced the team onto the stage, Comedian Paddy McGuinness tried his best in his armbands to become a member of the synchro team in the studio. 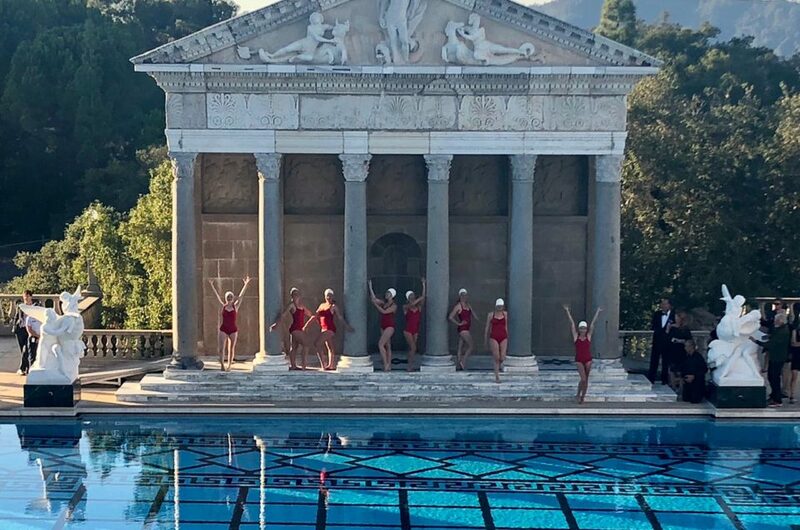 Telegraph journalist Michael Hogan mentioned that the Swimming With Men clip was one of the best highlights of the night saying that the ‘chlorine-scented choreography was really rather impressive”. Michael goes on to say that after seeing this Sport Relief clip that the up coming film “sure showed promise”. 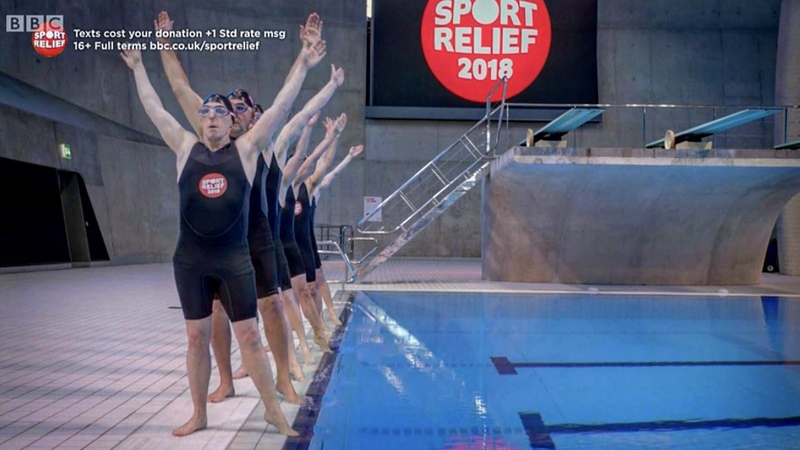 In 2017, the actors, including BAFTA winning Adeel Akhtar, spent two weeks learning synchronised swimming and choreography and rehearsing the moves before filming the water scenes for Swimming With Men within a 4 week period. Charlotte Riley and Jane Horrocks also appear in the film.